Who are the casino cheaters? Con artists have been in existence for many years; casinos have had to deal with many cases of corrupt players trying to outsmart the house by cheating. Although corruption is not allowed, casinos have conducted studies on the efforts made to cheat the house into winning. This studies help to get insights of how the con artists operate. Corruption has been a problem that was not only caused by some players; some casinos have also been accused of the same only that they manipulate the systems to change favor to the house. This has been made a thing of the past by imposing of strict rules and regulations for both the land based and online casinos. 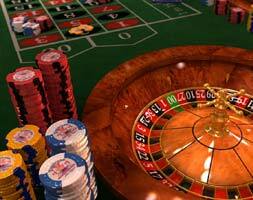 Playing on a rigged roulette wheel was very common before gambling was approved in the state of Nevada, USA in 1931. New rules were introduced in this same period thus providing a means of control and measures that protects both the players and the casino. This rules ensured sanity into this gambling business. Casinos would lose gaming licenses and equipment would be seized if they were found to be involved in cheating. There were also rules that protected casinos from con gamblers. One of the ways casinos used to cheat was, through introduction of specially designed balls that would be controlled magnetically, dealers would choose to use the ball on various occasions to favor the house. They would ensure that the ball falls on certain slots making it possible for the house to always win. Players could sometimes try to cheat by sneaking bets after the ball lands on a pocket, this was called late betting. They would do this on various occasions when dealers were confirming winning numbers from the wheel. Some players were clever enough to try move or steal some of their loosing bets from the table. Casinos around the world have dealers manning the betting tables and use observation cameras to ensure that no cheating takes place. They usually have an observation room and observers who ensure that all the tables are operating as per the rules of the game. Some players would do anything to win; they would tamper with the roulette wheel to so that they can change or manipulate the wheel whenever an opportunity arises. Some of the methods used by these unscrupulous players were; used of glue and some other materials to affect the bounce of the ball, thus reducing the house advantage. Others would tamper with the wheel mechanism so that they can gain advantage.